ANASTASIA is a romantic, one-piece swimsuit. 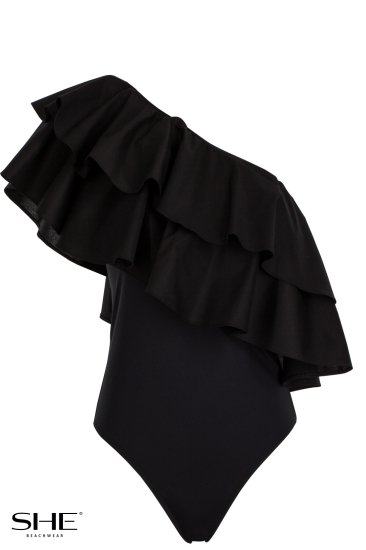 Asymmetric top with stitched stiffening inserts and embellished with a double flounce which attracts attention. 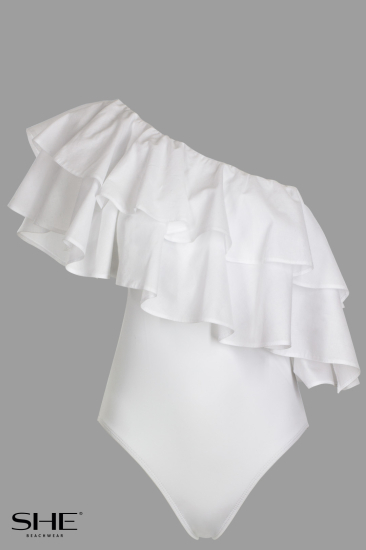 Classically cut bottom is a perfect counterweight for extravagant upper part of the swimsuit.